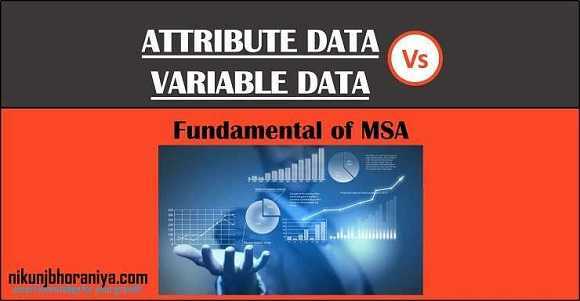 → Attribute data is qualitative data that can be counted or can be said as yes or no for recording and analysis. → Attribute data also called discrete data. ➧ For one item, there are only two possible outcomes: either it passes or it fails against the specification. ➧ Each item inspected is either defective or not defective. → Mail delivered: is it on time or not on time? → Phone answered: is it answered or not answered? → Warehouse regular stock item: is it in stock or not in stock? → The invoice generated: is it correct or not correct? → Product confirmation: is it in-spec or out of spec? → How many students have passed the exam? → Variable data also called continuous data. Could you provide MSA technics and tools for attribute data?